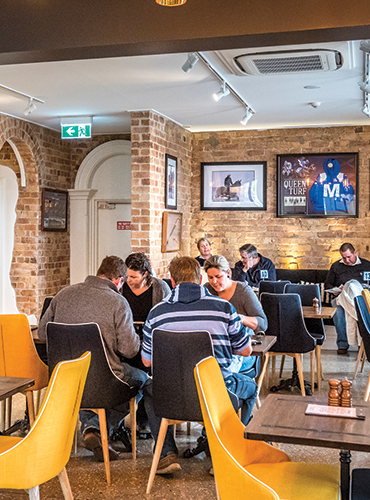 The newly refurbished Thoroughbred Bakery, Bar & Restaurant is an iconic building set in the heart of Australia’s horse capital. 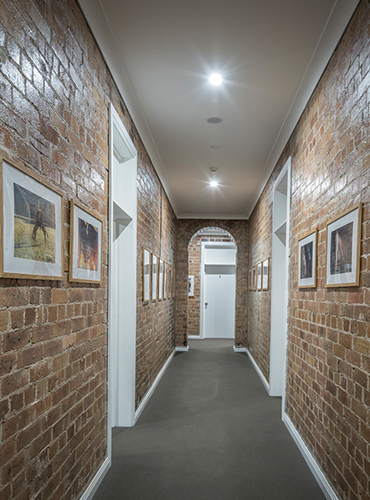 A building with a significant history in the township of Scone, The Thoroughbred has had many tales to tell. Originally known as the Crown and Anchor opening in the 1800’s, it was then named The Empire in 1915 when the current building was established, before finally becoming The Thoroughbred Hotel as most locals know it today. 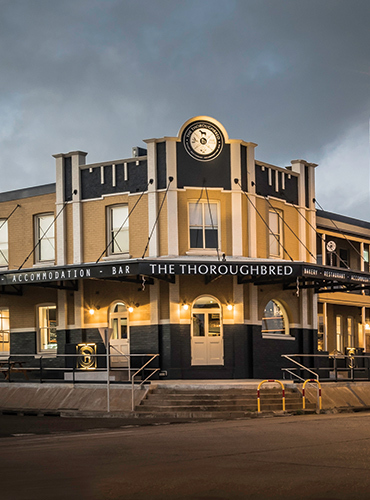 Undergoing a major facelift throughout 2016 The Thoroughbred has been lavishly refurbed in top class fashion. 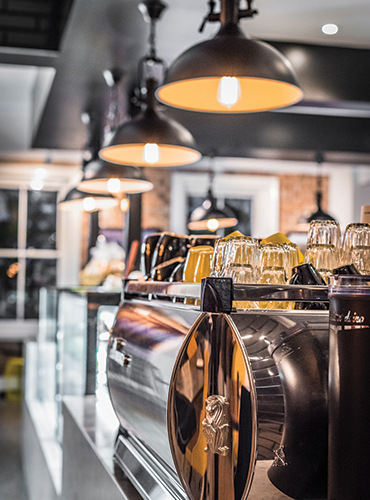 The Thoroughbred now features a gourmet bakery and cafe, upmarket Steakhouse styled dining and bar areas as well as a VIP lounge and 10 beautifully renovated rooms upstairs for accommodation, it is now the pride of the Horse capital. 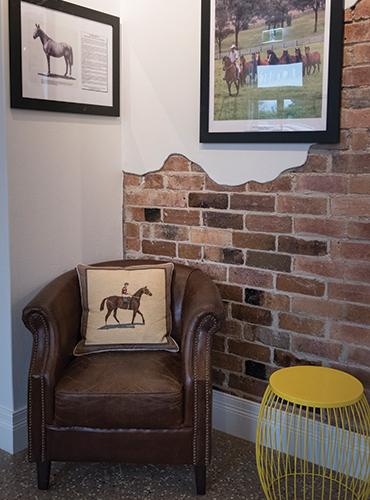 In addition to the renovations, the venue has taken a unique path with the interior design and theming, showcasing a plethora of local thoroughbred racing and breeding history and memorabilia from both past and present throughout the venue. Highlighting many of the amazing local icons, stories and achievements born and bred out of this area. 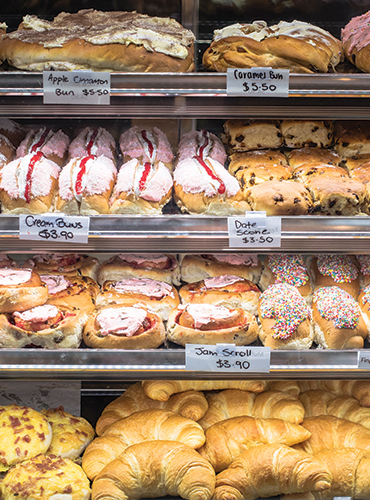 So whether it’s gourmet breads, pies or pastries, delicious freshly ground coffee or a lovely dinner with craft beer and cocktails… The Thoroughbred really is a venue for all occasions.